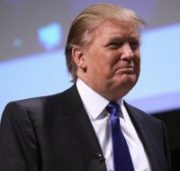 President Donald Trump is reportedly impatient with military advisers and declared in a recent meeting the United States is “losing” the war in Afghanistan, NBC News reports. He also suggested firing Gen. John Nicholson as commander of U.S. forces in Afghanistan in hopes of reversing course, according to senior administration official who talked to NBC. In a two-hour meeting on July 19 in the White House situation room, Trump complained about NATO allies, asked whether the United States could get part of Afghanistan’s mineral wealth and compared the advice of his top generals to that of a consult to New York’s 21 Club, which lost profits in the 1980s based on bad advice.